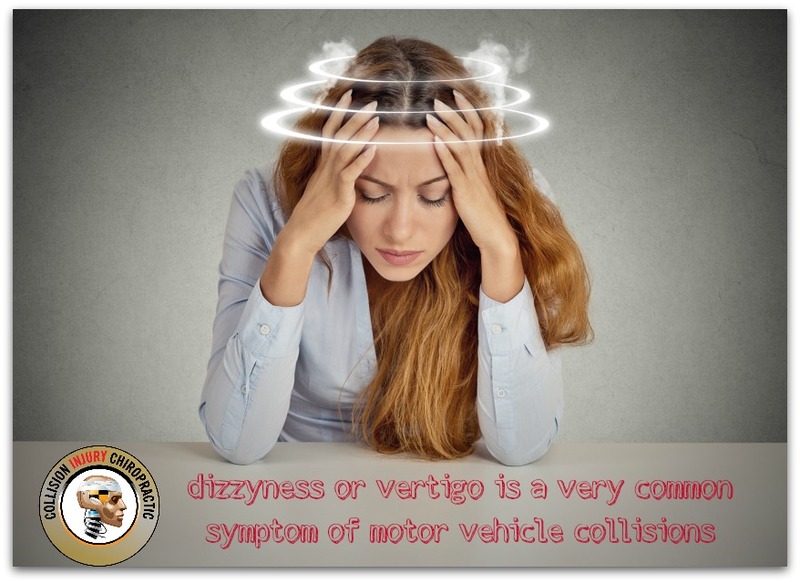 Dizziness or vertigo is commonly reported after an auto collision and there are four major reasons of this problem following an auto crash. The predominant cause of dizziness is directly related to neck trauma. Medically this type of dizziness is called Cervicogenic or “from the neck” vertigo. Our spinal column and nervous system contains thousands of specialized nerves known as proprioceptors. These specialized nerve fibers tell your brain where your body and body parts are in space and time. Proprioceptors are how you can tell where your arms or legs are with your eyes closed, and play the key role in maintaining your body balance. During a car wreck the soft and bony tissues of your neck are stretched, sprained and strained and when the proprioceptors are affected normal proprioceptive information can be interrupted. Once this crucial balance information is no longer supplied to your brain in a normal fashion dizziness occurs. The good news is that this type of dizziness (Cervicogenic) usually resolves with the correct medical and chiropractic treatment of the damaged neck structures. The second type of dizziness is called benign paroxysmal positional vertigo (BPPV). BPPV can occur following rapid and forceful movement of the head and neck especially during a car crash. Your inner ear contains a balance system which contains tiny calcium crystals that are floating in fluid. During head movements these floating crystals move against nerve endings in your inner ear which allows your brain to determine the position of your head. During the trauma of a whiplash these calcium crystals can be misplaced to the point that when your head moves in a normal fashion and the crystals do not function or float correctly resulting dizziness perceived by your brain. Accident victims who suffer BPPV report dizziness that appears upon certain movements of their head and typically is not present at all times. Successful treatment of BPPV can be accomplished with a specific procedure called the Epley Maneuver. Vascular injury is the third possible cause of dizziness after an auto collision. Occasionally, the blood vessels of the neck, especially the Vertebral Arteries can be injured, causing decreased blood flow to the brain. More specifically vascular pain can change from dull to a rise in pressure or a throbbing type sensation. The fourth and actually the worst kind of dizziness is the result brain injury. This type of injury is often called Traumatic Brain Injury (TBI) or Closed head injury. Even with all of the safety devices of late it is still possible for your head hit something at the time of the accident. Anyone can suffer a mild traumatic brain injury. If you suffered a brain injury, you may be experiencing fuzzy thinking, confusion, dizziness, or memory loss after the collision. Chiropractic adjustments are a tried and tested, effective way to help accident victims with dizziness. If you’ve been in a car crash and have symptoms of back pain we are here to help. Our doctors will diagnose the underlying source of your pain and prescribe a plan of treatment to restore your health. 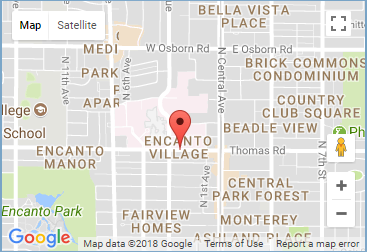 Call today (602) 456-7252 For An Appointment Today.